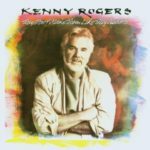 ‘They Don’t Make Them Like They Used To (also referred to as They Don’t Make ‘Em…) is the fifteenth studio album by country superstar Kenny Rogers. The album’s title cut was used as the theme tune to the box office hit movie Tough Guys. The song “You’re My Love” was written by Prince under the pseudonym “Joey Coco” and features El DeBarge on backing vocals.